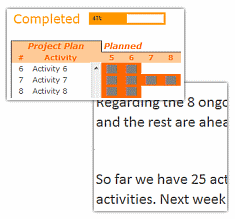 Check out an implementation of project dashboard along with tweetboard by our reader Fernando. He says, it “turned out to be a great success”. I am so happy for him. Btw, the post includes a link to download the workbook so that you can see the dashboard and tweetboard in action.